If you include great quotes or hints in your posts, then you should make it simple for your visitors to tweet them. There are several plugins for wordpress to help you out, but you can also do it without using a plugin if you are prepared to configure some simple code. In fact I’m sure you could write a wordpress plugin to extend the built-in editor – if that’s you then I’m all for testing it out. Click on the tweet this link above will open a new window or tab in your browser and provided you are logged in to twitter then you will be ready to tweet. 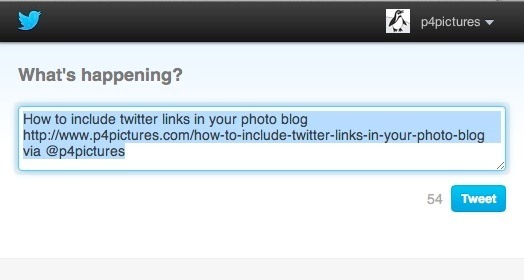 Twitter automatically shortens links so you don’t need to worry about the length of the URL and you could even add analytics tracking to it if you want. If you do this manually you will need to preview the page or post and check the tweet this link works and that your tweet is not too long. I often use a <blockquote> tag to draw attention to the quote, and even put it in a coloured box from time to time. If you know a little bit of code you can even wrap this tweet link around images.